Posted on May 30, 2016 May 30, 2016 by Dream On, As IF! We had breakfast and enjoyed the view from the pool on the 14th floor one time before our flight to Hanoi. 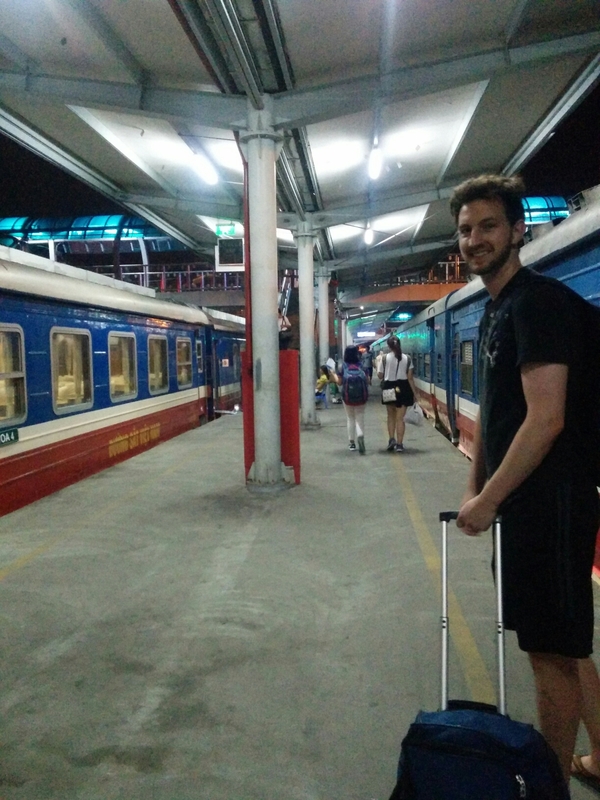 We didn’t have a full day in Hanoi but didn’t want to walk around all day with our luggage so we paid $14 for a cheap hotel room at the Bluebell Hotel, which we used for showers and luggage storage. We got our money’s worth with the showers and AC at this place. We thought Hue was sweltering but Hanoi was worse; it was even hotter and more humid. I thought Cartagena was hot; I didn’t realize the human body was capable of being alive in the Hanoi kind of heat. 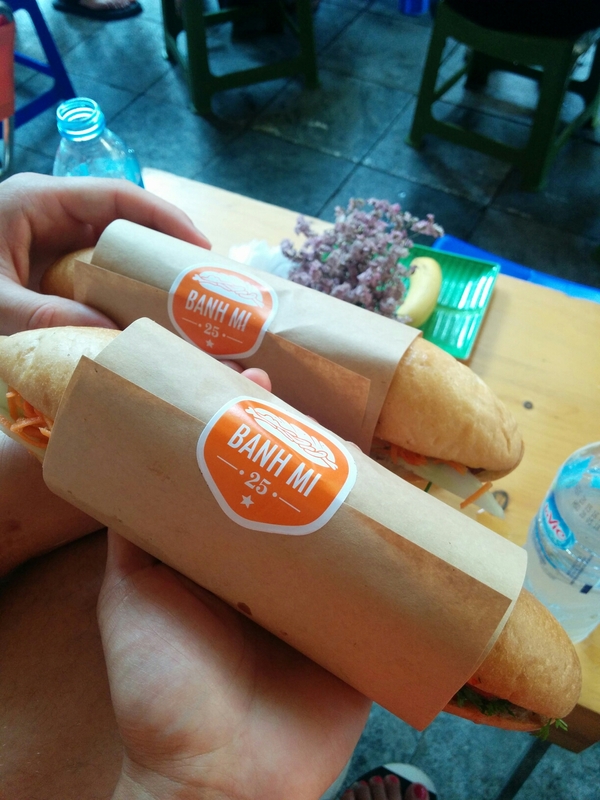 We showered at Bluebell and then had lunch.We ate banh mi with pork and pate at Banh Mi 25. The sandwiches were $20,000 (about a$1) and came with free baby bananas. 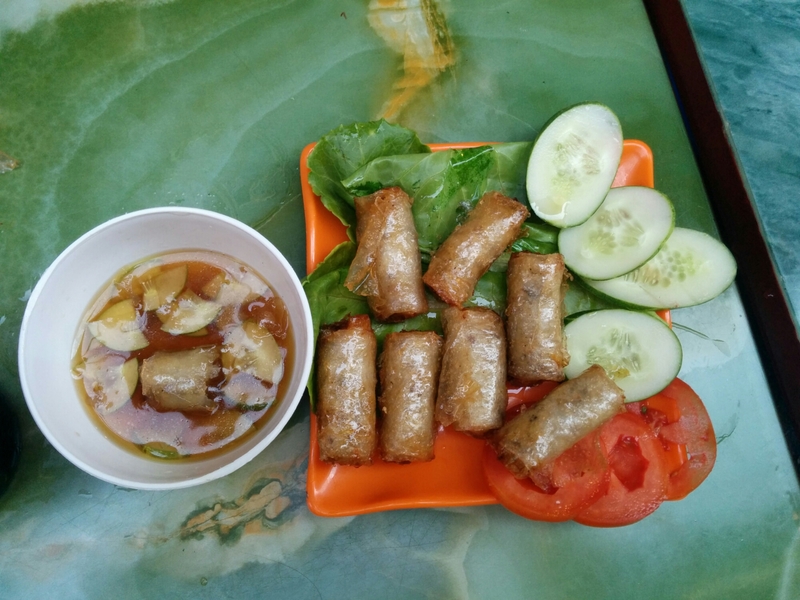 We then ordered some eggrolls at a place on Ta Tien street and had them with Hanoi and Halida beers. After we ordered the eggrolls, I saw bugs crawling around a vegetable cart in the restaurant. The cart was behind Kyle’s head, so he couldn’t see it, and I didn’t say anything. It’s OK for me to admit this now because it’s been over 24 hours and no one is sick… yet. 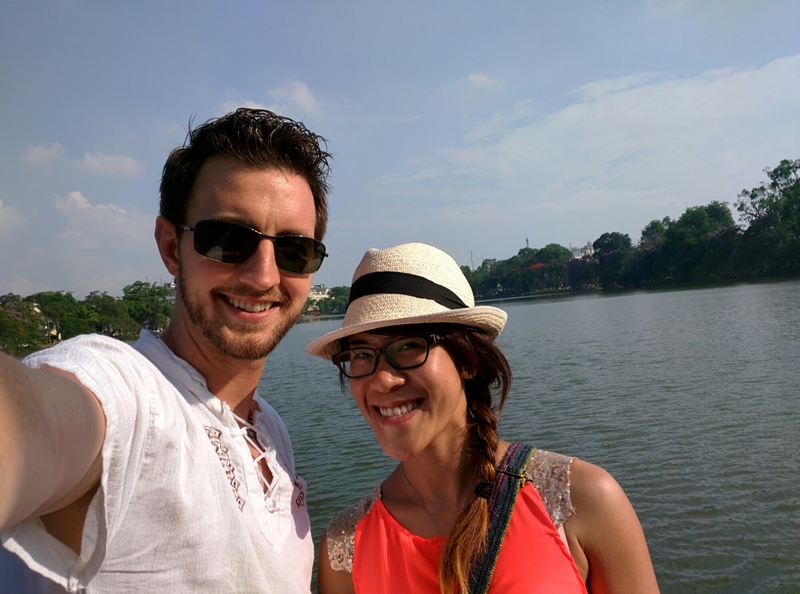 We stopped by Ngoc Son temple, which is on Hoan Kiem lake. I watched some old dudes play Chinese chess for a bit to see if I could remember the rules but they made their moves too slow. 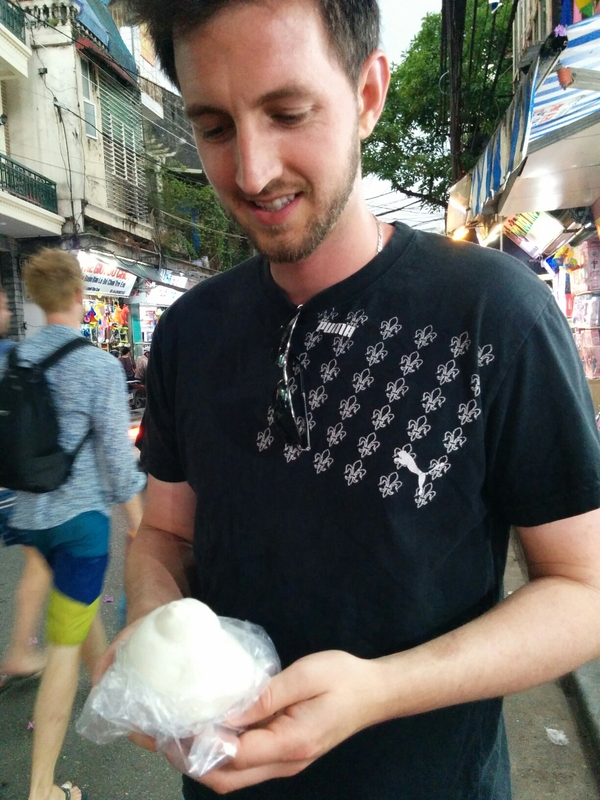 We bought a random bun on the street for the equivalent of 25 cents. It turned out to be the Vietnamese version of Chinese man tou (饅頭) which is a lightly sweet, fluffy, soft, beautiful bun made of heaven. We went to Prague bar to have a couple of beers, as I was reminiscing about Krusovice beers from our time in Prague (they did not have the dark one though). We topped those off with Vietnamese coffee, then had some more beers and stir fried greens at Bia 29 on Ta Tien street. We had some time to kill so Kyle got a massage and I got a pedicure at Lotus Spa. 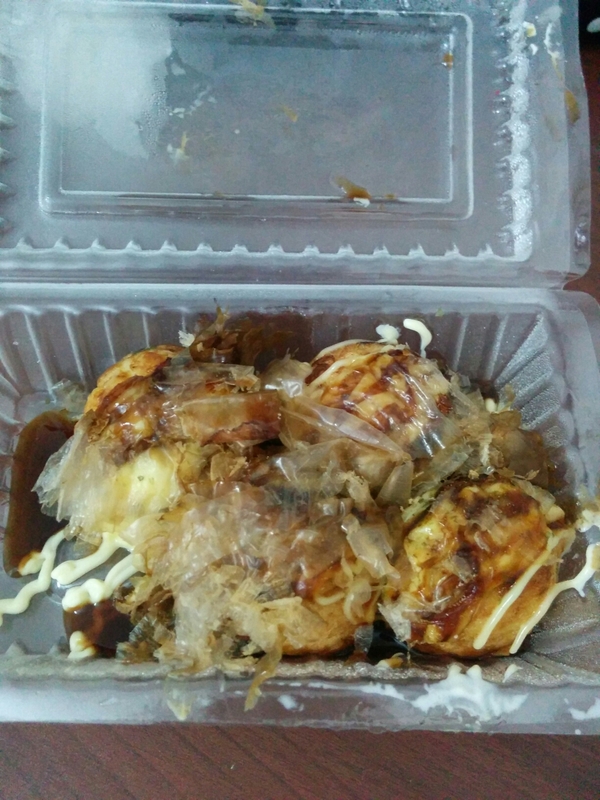 I thought we were done with food but then caught sight of some tako yaki (fried delicious balls of squid). 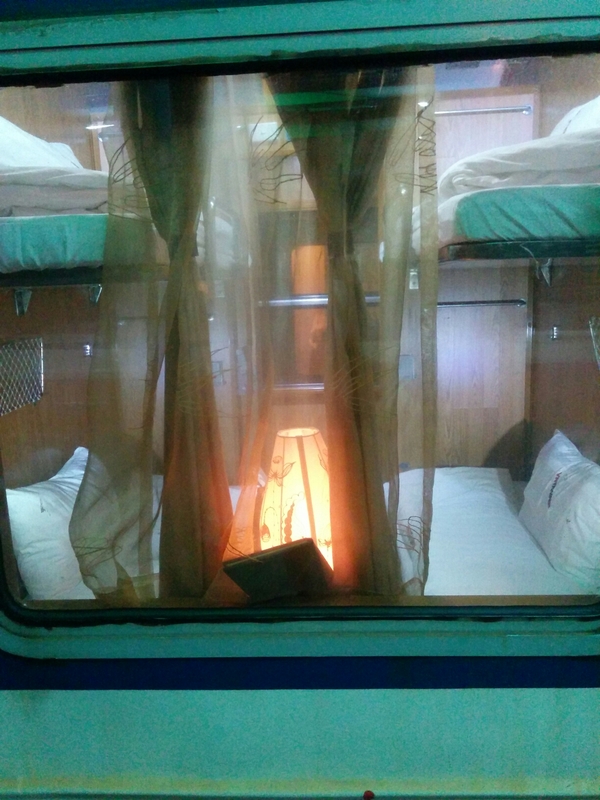 We then took the night train (sleeper car) to Sapa. It was a slow, surreal ride into the jungle and I rather enjoyed seeing the nightscape go by then hearing tree branches scrape against the car and being rocked to light slumber by the rhythm of the train, but I’m a heavy sleeper… Kyle’s sleep was less peaceful.